On Tuesday [22nd] we posted the above image of a Challenger 2 as a bit of a teaser and promised to bring you more details, writes Bob Morrison. The British Army is currently running a Life Extension Project (LEP) to keep CHALLENGER 2 in service until 2035 with two companies, BAE Systems and Rheinmetall, selected to provide prototypes for evaluation; although the recently announced Joint Venture could effectively mean just one prototype actually progressing if the bean-counters are allowed to meddle. 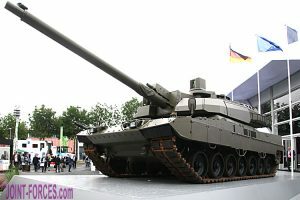 Both companies have followed the brief and submitted proposals which include retaining the original L30A1 120mm rifled main gun, but Rheinmetall has also suggested fitting the L/55 variant of their Rh-120 L/44 gun as widely used throughout NATO in LEOPARD 2, M1 ABRAMS and C-1 ARIETE main battle tanks. 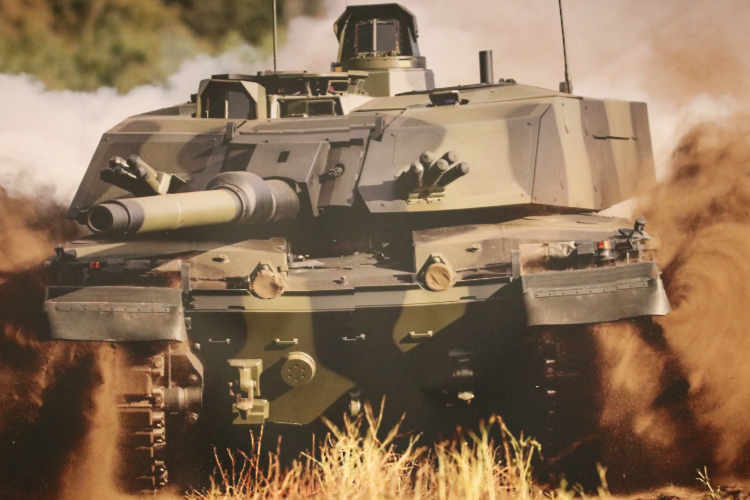 You will notice from the lead photo (a shot of the background image on the Rheinmetall stand at International Armoured Vehicles 2019) that above the hull line there is clearly a different turret. A few clues give it away, most notably the lack of rifling at the front of the barrel and the cleaner lines. This is a brand new turret for CHALLENGER 2 , not a conversion, and it has not been part of the LEP assessment phase but is something which Rheinmetall decided to develop in parallel. 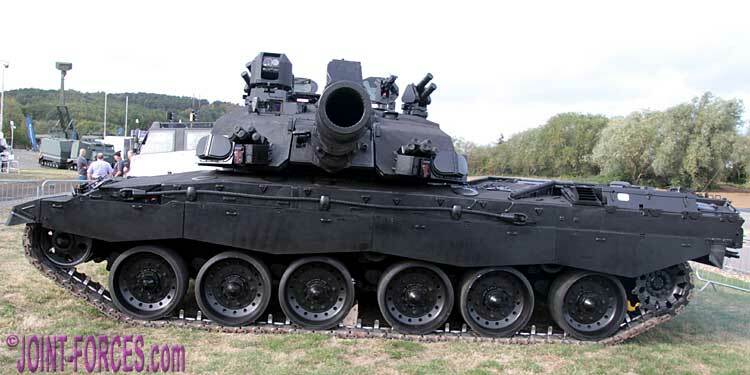 I have been told that it is a working turret which fires, is fully digitised, and could be described as the next generation for a main battle tank; i.e. it is a Generation 3.5 turret. So before the next Main Ground Combat System (the Franco-German Euro-Tank concept) is developed, this could provide an interim solution. When I probed about the parentage of the turret I discovered that it is of completely new design and not, as some had been assuming, a LEOPARD 2 turret conversion. However the design does draw on Rheinmetall’s long expertise with the LEOPARD family, and that of some of their well-established partner companies, so a lot of technology in the new turret is mature, and maturing, but it is a totally new design. Now that Rheinmetall (55%) and BAE Land Systems (45%) have merged as Rheinmetall BAE Systems Land (RBSL) it would seem logical to me to continue the LEP programme with the BAE Systems prototype with rifled main gun competing alongside the Rheinmetall prototype with smoothbore gun to allow the Royal Armoured Corps to pick the best of both worlds.